As humans, we tend to gravitate toward people and situations that we know, understand, and feel comfortable around. When we’re around someone whose behaviors are unexpected or difficult to interpret, it can make us feel unsettled or anxious, and our natural tendency may be to avoid that person or situation. But that all-too-human response doesn’t help us grow as a person or expand our compassion, and it certainly doesn’t benefit the person being excluded. Many times, children on the autism spectrum will behave in ways that other people don’t understand. How can we help their peers to be more compassionate and understanding about their unique situation? Here’s one way: Julia Cook, a former educator and school counselor, has created a wonderful teaching tool in the form of a 32-page picture book called Uniquely Wired. This book can help all of us—children and adults—to understand and respond to the needs of individuals with autism in a more informed and meaningful way. Don: What inspired you to write a book about autism? Julia: Children with autism fascinate me. They see and hear the world differently than typical kids. They have so many unique gifts. Many times their behaviors are misunderstood and judged incorrectly. My goal in writing this book is to help people recognize, understand, and appreciate the fact that we are all uniquely wired, and that’s ok.
Don: You mention “prickly behaviors” of kids with autism. What kinds of behaviors might show up? Julia: Sensory processing difficulties often affect an autistic child’s comfort level when making eye contact, giving and receiving affection, adjusting to change and new environmental surroundings, adjusting to unpredictable experiences, and reacting to light and sound. They may appear to be “prickly” when they don’t respond the way other kids do. Don: Speaking of behaviors, you tell parents that every behavior has a purpose. Why is that such an important point to grasp? 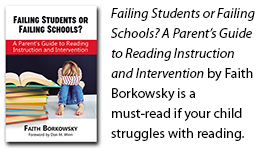 And how can determining the purpose of a child’s behavior inform a parent’s response? Julia: Every behavior has a purpose. We may not understand a certain behavior or action, but children with autism most likely have a very specific need they’re trying to communicate. Over time, watching their patterns, trying to think outside the box, and seeing into their world will help you figure out what they are trying to communicate. Some children with autism have unique behaviors that are done repetitively. Many of these self-stimulatory or “stimming” behaviors (twirling their hair, flapping their arms, etc.) help them calm down, organize their thoughts, or provide a sense of control. While these behaviors can be disturbing to others or emotionally heartbreaking for parents, most provide some benefit to the child. It can be helpful to teach siblings and classmates about stimming behaviors to encourage greater understanding and acceptance. Don: Why is autism called a spectrum disorder? Julia: There is a saying in the autism community, “If you have met one child with autism, you have met ONE child with autism!” Each child has unique struggles. This array of challenges is effectively represented when using the term autism spectrum disorder. Don: How can siblings and classmates be helped to understand the unique challenges of the autistic child? Julia: Hopefully reading this story to them will do just that! Children are much more understanding and accepting when they have information. Doing class activities that develop empathy and understanding for others is also must. Use this example to also explain that children on the spectrum don’t learn by watching others…they mostly learn from things that are taught directly to them. Don: I loved the kind, understanding, and effective approach you took in writing this book. One of the points that I especially appreciated was the suggestion to communicate based on the child’s current obsession, whether it was trains, watches, etc. Why is it so helpful to both parents and the child to use this approach? Julia: Kids learn most effectively when they are interested in the topic. By using an autistic child’s latest obsession to teach a concept, you have his/her interest and attention immediately in a world that is familiar. Don: Sometimes a child with autism resorts to hitting, shoving, or some other physical outlet for their frustrations. How can they be helped to develop coping skills? You encourage parents never to assume their child knows what needs to be done and can then transfer those instructions to their muscles to get the job done. You use the term, “Motor Planning.” Can you give our listeners some examples of what that means and how to do it? Julia: Picking up social cues is difficult for children with autism. As a result, they may be excluded or treated unfairly. Also, they may choose to hit, push, or scream because they have difficulty processing how to handle feelings and emotions. It can be very helpful to teach and practice appropriate situational responses using visual pictures and social story books that include images with faces and emotions. Children on the autism spectrum respond very effectively to social recipes (if this happens then this is how I am expected to respond). You may need to teach a child with autism WAY more things that you ever imagined. Motor Planning—knowing what you need to do in a certain situation and transferring that task successfully from your brain to your body and muscles to actually carry the plan out—comes more slowly for children with autism. This may be because a child has a deficit in a specific area. It also can be compounded because children on the spectrum don’t naturally watch other kids and pay attention to what they do in certain situations. For example, you may have to teach a child with autism to take off his coat and mittens after playing in the snow. Don: Tell us about some of your other books. Julia: The purpose of all of my research-based books is to teach kids to become life-long problem solvers. Often, kids would come into my counseling office and want me to waive my magic wand and solve their problems for them. But that’s not my job…my job is to give them the tools they need to solve their own problems. Each one of my books presents a problem (interrupting, tattling, stealing, not taking responsibility, not using your social filter etc.) followed by a solution, and ends with implementing that solution. The books tell the parent, the teacher, and the child the WHAT TO SAY, the WHAT TO DO, and the HOW TO DO IT! They are basically 32 page social skill recipe books that work for everyone – big and small. Don: Is there anything else you would like to share with our readers? Julia: It is so important to remember, “In order to teach children…you must enter their view of the world.” Reading a story book is a great way to do that! Don: I’d like to thank Julia Cook for taking the time to be interviewed and for her passion for helping all kids to be their best. Julia’s work and observations teach us that we’re all uniquely wired and to appreciate what every child has to offer. You can also connect with Julia and her publisher, Boys Town Press, on Twitter @juliacookonline and @bt_ed. A free book by Julia Cook is available through the CDC.gov website. You can download it for free or read it online. It is also available in Spanish.